What is the purpose of LesbianPersonals? What is cache? Images, text or sound files from web sites you've visited. What is a cookie? A file that stores personalized content while visiting a web site. Why delete cache and cookies? Older cache and cookies can interfere with newer site code. Step #1 - Obtain your operating system (Windows or Mac OS X). Step #2 - Obtain your browser and browser version. ✓ If you do not know your OS or Browser information, click here. OS "Windows" / Browser "Internet Explorer"
OS "Mac" / Browser "Safari"
OS "Mac" or "Windows"/ Browser "Google Chrome"
OS "Mac" or "Windows"/ Browser "Mozilla Firefox"
Open Internet Explorer. Click on Tools menu. If the Tools menu is not visible, advise the user to press the Alt Key on their keyboard to display the menus. Check the boxes next to Temporary Internet files and Cookies. Make sure all other boxes are unchecked. 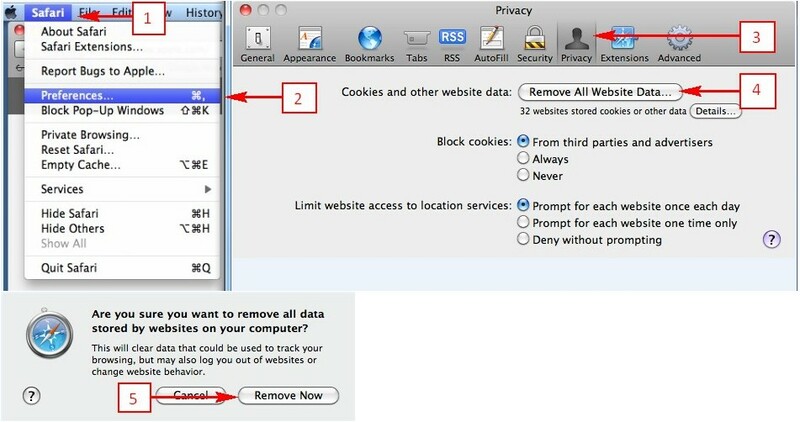 Click Remove All Website Data. Click on the Settings icon (3 horizontal bars, in the upper right hand corner on the browser toolbar). Select the Clear browsing data... button. Click on the “Obliterate the following items from" drop down menu and select the beginning of time. Check the boxes next to the Delete cookies and other site plug-in data and the Cached images and files. 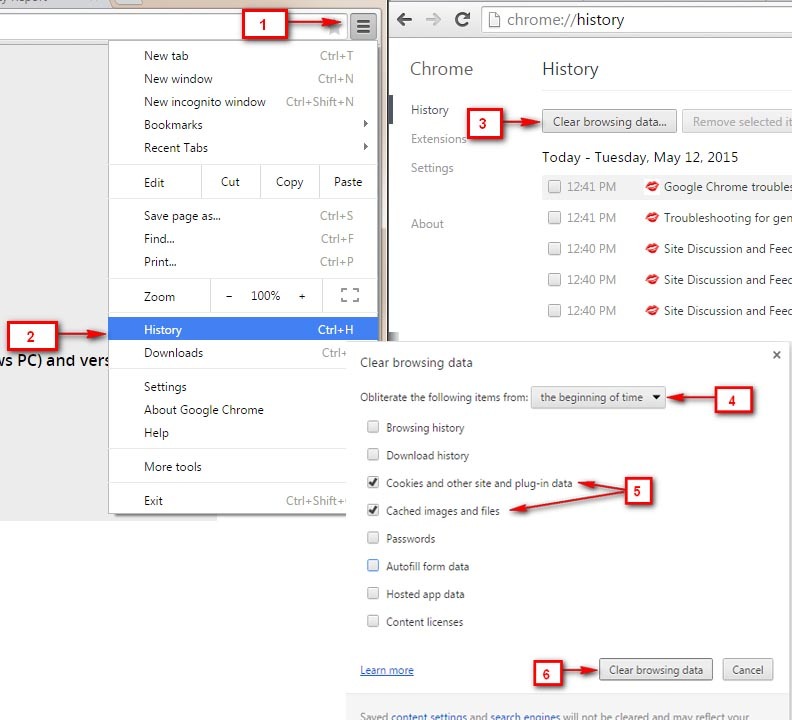 Press the Clear browsing data button. Click on History from the menu. Click on Clear Recent History…. Change the Time range to clear field to Everything. Check the boxes next to Cache and Cookies. Click the Clear Now button. Ask the member to look on the lower and upper corners on the left side of their screen. By default, the Windows toolbar is always docked at the bottom of the screen. The Start menu or Windows logo displayed in the lower left corner. A start menu indicates Windows operating system (i.e. Win XP). 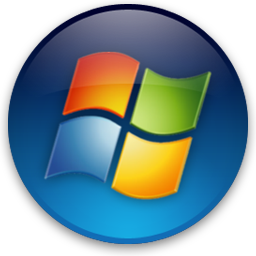 A windows logo indicates a Windows operating system. By default, Mac OS X has its toolbar docked at the top of the screen. The Apple icon is displayed in the upper left corner. An apple icon in the upper left corner indicates a Mac OS X operating system. For Windows OS, ask the member to click on Help located in the top right of the browsers menu bar, and select "About". If the Help menu is not visible, advise the user to press the Alt key on their keyboard to display the menus. 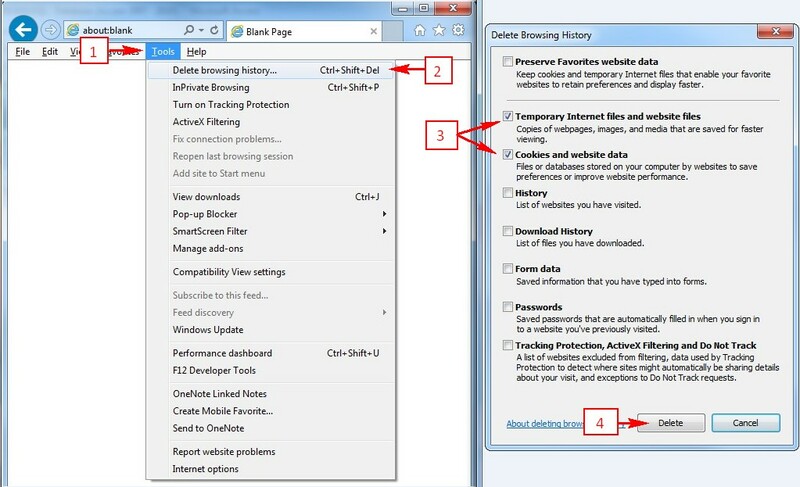 Once the browser and OS are identified, you can click on the appropriate link under question 2 and provide step by step instructions. The purpose of the LesbianPersonals site is to make it as easy as possible for you to meet people, using the power of the internet. At LesbianPersonals, you'll find a community of people using the site as a tool to make connections and find partners for dating, romance, friendship, and a variety of encounters. To find your match, we offer several powerful features, that allow you to narrow your search so you can find exactly the kind of person you, are looking for. On various occasions, we also add new features to make your time at LesbianPersonals a successful and fun experience. LesbianPersonals standard membership is always free, and although paid membership packages give you unlimited access, there are plenty of fun things to on LesbianPersonals for free. For more information on the privileges for different membership levels, please see our Membership Chart. LesbianPersonals works on a membership system so that we are able to keep data files that contain your profile information and other information such as your "Hotlist", etc. Guests may enter the site and browse the listings, but in order to post a listing and use the many features available on the site, you must become a member. LesbianPersonals only requires a valid email address in order to become a member of this site, as you will not be able to obtain your password without one. This means that should any member of the site be found guilty of abuse or harassing other members, we will have a lead in finding the person who is causing the problems; with the help of that member's ISP (Internet Service Provider), we can hopefully trace that person. Needless to say, such people will be permanently banned from membership on this site. However, our service is otherwise confidential. There is no way that we can do extensive background checks on members, and we expect you to understand that we cannot take responsibility for any pain, damage or suffering arising from your use of this site. Please use your common sense and be careful about giving out personal information to people you meet on this site. I'm not getting my password or other emails from LesbianPersonals! LesbianPersonals is a service mark of Various, Inc.
LesbianPersonals does not conduct criminal background screening of its members. Learn about Internet Dating Safety, click here.